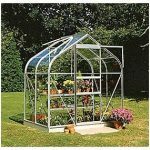 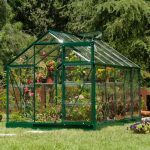 This 12 x 8 apex greenhouse has a wonderfully high apex roof at the top of the unit. 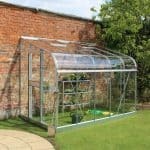 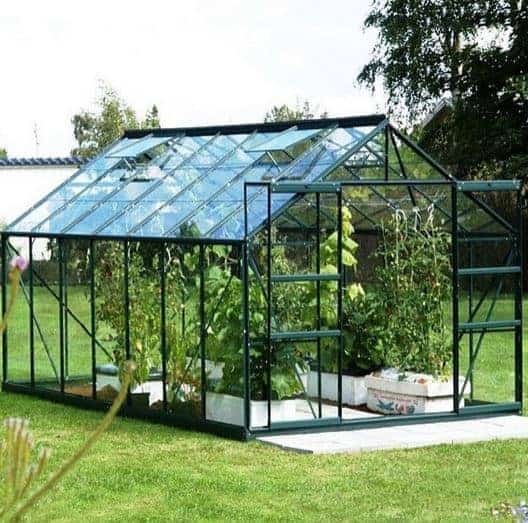 This is a great feature, because it allows you to have more head height inside the building, as well as extra protection against the possibility of rainwater entering the greenhouse. 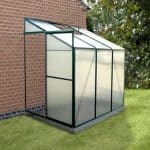 Double sliding doors ensure that you have easy access to the interior of the building and a useful gutter system makes sure that the rainwater that hits the building is not allowed to gather and enter. 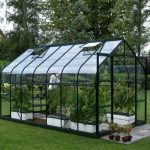 This means you have a safer and more controllable environment for your greenhouse. 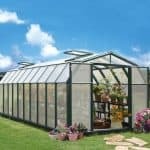 The building also benefits from higher eaves than normal, which extends that head height even more.